Voters in the City of Los Angeles will go to the polls again on May 11– at least we hope they will — to vote on Los Angeles Unified School District Board seats, one city council race, and on a proposal to reform the process for disciplining officers in the Los Angeles Police Department. EGP is urging a No Vote on Charter Amendment C because we do not believe allowing officers to choose the makeup of the board that will discipline them – even if it gives a “larger voice” to civilians — will actually result in officers accused of acting outside police policy not being more routinely, or fairly disciplined. In our view, the current makeup of department hearing officers, that includes two police officers and one civilian allows for both experience on department policy and civilian oversight to be part of the process. According to the data, citizens tend to be more lenient than police personnel when it comes to disciplining the actions of officers. Civilians tend to temper disciplinary hearings, cognizant of the fact that those being disciplined are human and often act on human instinct. Police officers are aware of this pattern, so it’s no surprise that they support allowing officers up for review to choose the makeup of the hearing board they will appear before. We believe that a disciplinary hearing composed of only civilians will lack the experience on policy and police procedures necessary to give the panel the needed depth of knowledge needed for such a critical function. Eastern Group Publications is re-stating its endorsement of Councilmember Gil Cedillo for reelection to Council Seat No. 1. As we stated before, we believe that Cedillo has been attentive to the needs of the 1st District. We believe the incumbent has made strides in cleaning the district, no easy task given the density of the district. Cedillo’s trash removal program has been adopted by the mayor and deployed to other parts of the city. So has his initiative to remove bulky items, such as old mattresses, broken furniture and other items thrown on the streets and alleys of his district, not to mention his program that allows trash haulers to go into a person’s home to remove those items; an especially valuable resource for the elderly. Despite complaints about pedestrian safety, improvements have been made. Some have criticized that the councilman is only making the improvements, such as installing traffic signals and lighted crosswalks because people are complaining, but isn’t that what we expect them to do? There is no doubt that homelessness and affordable housing are big issues in the first district. 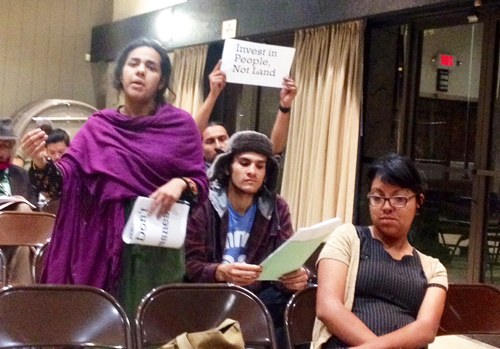 Gentrification that has led to displacement is a concern, with no easy answer. There is no doubt that there is a critical shortage of housing in the area, especially affordable housing. The shortage is a citywide problem, as is investment in low-income neighborhoods that actually lead to more and better paying jobs, as well as increased revenue to pay for city services. While Councilman Cedillo has our endorsement, we ask that he do a better job engaging residents in the process to solve the problems in their own backyards, including updating neighborhood plans and permitting of new construction. Both he and his staff must listen to the concerns of the residents of his district. Recent revelations about his challenger, Joe Bray-Ali, making racist and homophobic and other despicable comments have strengthened our support for Cedillo. As we have noted in the past, Bray-Ali has demonstrated a temperament that is not only immature, but also resembles bullying. Take, for instance, the councilman’s decision not to support a bicycle lane on North Figueroa. We believe it was a wise decision that had community support, despite the aggressive attacks by his challenger, who for a time would take to Twitter and other social media sites to blame the councilman’s decision against bike lanes for every traffic accident in the district – even some outside the district. The truth is, just constructing bike lanes will not solve the problems on North Figueroa or in many other areas. EGP believes reelecting Cedillo to another terms is what’s best for the residents of the first district. 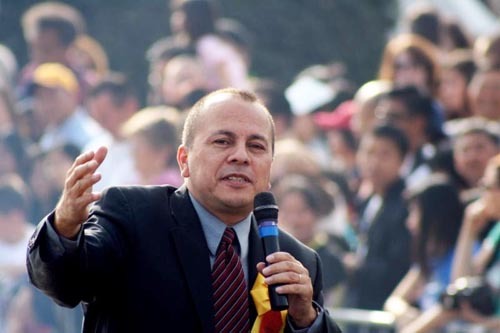 Cedillo is a known quantity, who has been well-vetted during his decades is public office. We have been greatly disturbed by the number of candidates and newly elected officials who are not adequately vetted by their supporters, and even the media, only later to be found unprepared, insincere, or in the cast of Bray-Ali, unsuited for public office. This not only wastes time and funds, both public and private, but also contributes to the lack of participation in the electoral process.